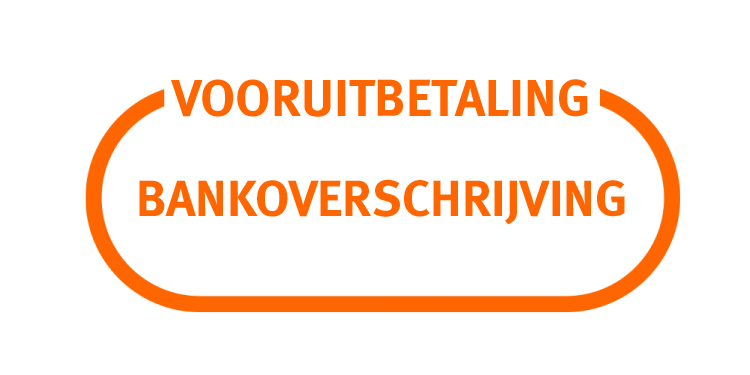 Eugène den Hoed, de bewerker van Aria con variazione detta “La Frescobalda”, heeft alle herhalingen van zowel de aria als van alle variaties gevarieerd uitgewerkt. Dit in tegenstelling tot een eerdere in 1962 door Andrès Segovia uitgebrachte versie. Eugène den Hoed heeft een “niet romantische vingerzetting” toegepast en twee extra variaties toegevoegd, die in de eerder genoemde Segovia-versie ontbreken. 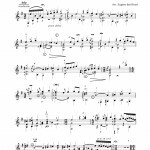 This famous piece is the one that Segovia arranged many moons ago, and that was subsequently published in the Schott Archives. I haven’t got access to that version now but if my memory serves me, I seem to remember that Segovia didn’t do the whole piece but left the final part out, for whatever reason. 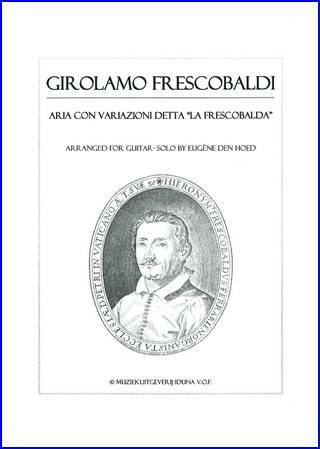 This version consists of the Aria with four highly contrasting variations followed by a varied return to the Aria as a close, and immediately one feels that the work is well adapted to the guitar, and doesn’t at all feel it was written for anything else, which it of course was, that being the sign of a good arranger. The Aria is Moderato with mostly three voices in evidence, although the odd larger chord does enter from time to time. The First Variation is marked piu mosso and the musical parts move around considerably more here. The Second Variation is an allegro and things get quite tricky here although never losing their inherent guitaristic qualities. No. 3 is marked sostenuto and here there is more opportunity to show a more emotive side to the piece, whilst the final 4th variation is an allegretto. The final Aria repeat is varied from the original at the beginning, and the whole work closes on a florid cadence leading to a close on the tonic major. 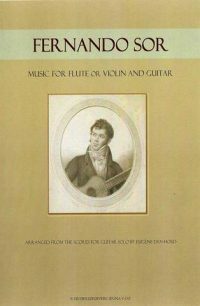 This is a beautiful work that belies its non-guitaristic origins and succeeds in sounding fresh and original, and if the music of the 1600s appeals then this book will be fine for the moderately advanced players among you. The title is a little misleading in that it gives the impression that here is a collection of music originally for this instrumentation. 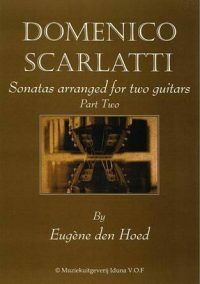 In fact all these pieces were originally guitar solos and have been arranged as duets by Eugene Den Hoed. 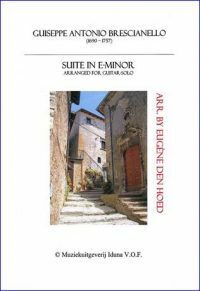 The originals are from opus 2, 31, 33, 35 and Sor’s ‘Method’ and quite a few should be known to the Intermediate player. 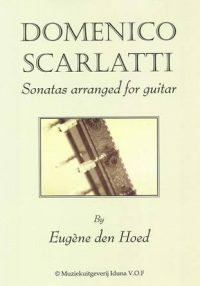 Eugene Den Hoed has kept the technical level to around Grades 3-4 and as most of these pieces are of a highly lyrical nature, this publication could be of interest to ‘amateur’ duos and teachers (for sight-reading material). 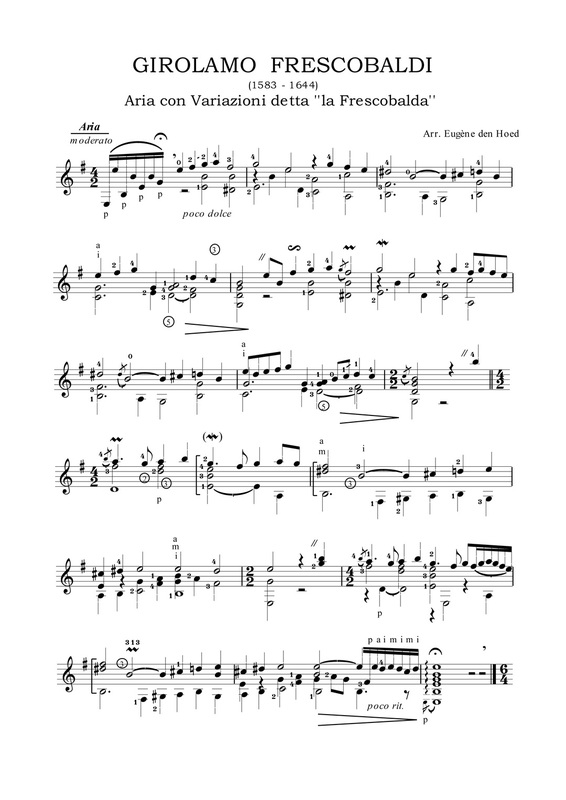 The publication comes as score-only but the album contains no page turns and can easily be read by two players sharing a music stand.